Everyone has questions especially when it comes to first aid and first aid kits. Below are some of the most commonly asked questions about HART Outdoor first aid kits. Are your adhesive bandages latex free? Yes! In fact all of our first aid products are latex free, even the gloves. If a first aid items is packaged in a sealed container it is sterile, with the exception of elastic (ACE type) bandages. Also, we clearly identify sterility and other essential information on our packaging. What are Proprinal, Cetafen, Histaprin, and Electrotab? What exactly is in this kit and what are the quantities of each item? For all of our first aid kits, a full contents lists is located on each kit web page; Extended, Multiday, Weekend, & Day Hike When you receive your kit, the contents of each kits is also printed on the pack of the kit. 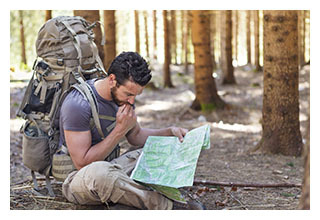 This list helps when you inspect your kit and ready it for your next exploration. BTW, we’ve noted products that have expiration dates on the inside of the kit, except the Day Hike. We recommend you review your kit every 6 months or more, depending on usage. I am planning a trip but will be flying with only a carry-on. Will I be able to take my kit with me? Most first aid kit items can be placed in your carry-on luggage. Scissors and tweezers may be an issue, so we recommend that you check with your carrier or TSA. If you are taking the Extended kit you will need to put the Aloe Vera gel in your liquids bag to show TSA. Where are the kits and supplies made? All our first aid medications and ointments are made in the USA and are compliant with FDA regulations. Additional first aid supplies are made in various parts of the world under our strict supervision. All supplies are shipped to the Pacific Northwest, where they are assembled at our facility in Seattle, Washington. All of our first aid kits, supplies, medications, packaging and containers must meet our strict quality control standards.